Sam Kincaid joined Compass in January 2018 and is currently a member of the Tom Hughes Group. Sam has worked in the Dallas residential real estate market since 2013 and has been a part of top producing teams assisting in closing over $350 million in total sales over the past 5 years. Sam has also been a consistent fixture as a D Magazine Best Agent and D Magazine Top Producer. The experience of working as a member of top-performing teams has enabled Sam to learn the best negotiation skills and gain extensive market knowledge, allowing for the strongest transactions on behalf of his clients. 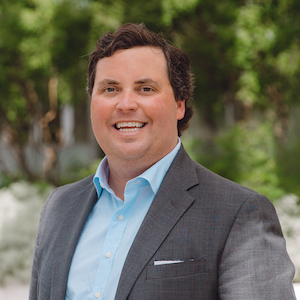 Sam has a deep knowledge of Dallas and specializes in marketing homes in the best Dallas neighborhoods, including the Park Cities, Preston Hollow, Bluffview, Devonshire, Greenway Parks and Turtle Creek. He is dedicated to helping buyers identify and purchase the ideal property. Sam’s ultimate goal is to develop a strong personal relationship with his clients while providing first class service and unparalleled results. Born and raised in Dallas, Sam attended Highland Park High School and graduated from Texas Christian University with a BA in history and a minor in political science. With lifelong friends and business contacts in both the Dallas and Fort Worth communities, Sam has developed an extensive network of relationships throughout the Metroplex. Sam is a founding member of the Young Leadership Board of the Cancer Support Community of North Texas (formally Gilda s Club North Texas) and is currently a member of the MetroTex Association of Realtors, Dallas Museum of Art, Dallas Contemporary, TCU Alumni Association, TCU Dallas Alumni Chapter, TCU Clark Society, Kappa Sigma Alumni and Brook Hollow Golf Club. He resides in North Dallas with his Soft-coated Wheaten Terrier, Randolph. Please contact him for exceptional personal service.